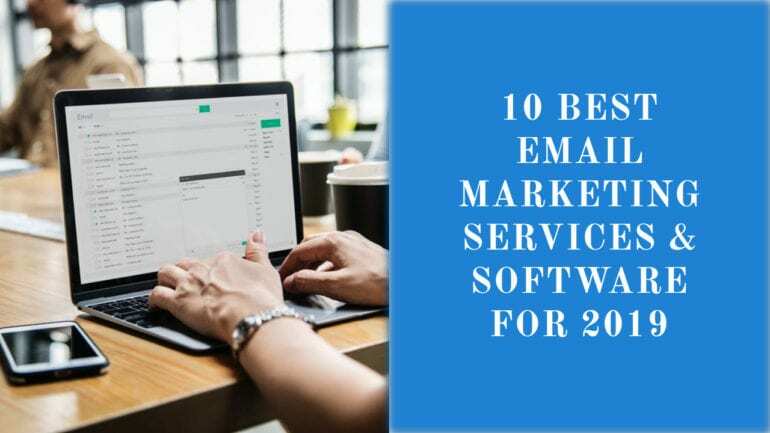 Email Marketing has become one of the prime sources for marketing these days, a way to reach your customers and notify them about the new offers and updates. 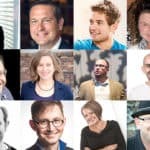 Let us keep in mind the six most important practices to make your e-mail marketing campaign a success. 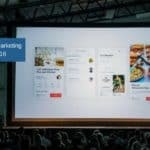 The article will bring to you the 6 best practices for email marketing that will get you the best results for your Ecommerce business. When your business is online, your marketing strategies should also be online. I have covered the most important points with some proven data. Below is a small survey done by Marketing Sherpa based on which is the most preferred channel for communicating with people these days. I am sure all have heard about marketing and its various strategies. How would you want an alert for some new offers or new products? 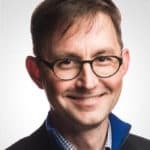 Some of you would say text messages and some would say through push notification, but the figures that came from MarketingSherpa had something else to say. They did a survey in which they asked 2057 Americans through which channel would they prefer to have companies or brands communicate with them? Here is what they said. 72% American prefer to receive information through emails whereas 48% prefer it via Post Mail. Now that we’ve established the channel people prefer for communicating with them, you need to know a few things before you start spamming their inboxes. 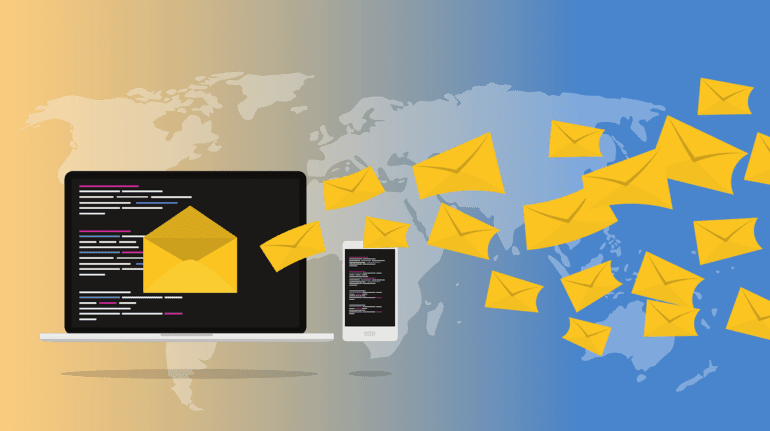 There was an Email Statistic Report made from 2015-2019, in which it said that in 2017 there will be a growth of 6% in email accounts and 3% in email users worldwide. 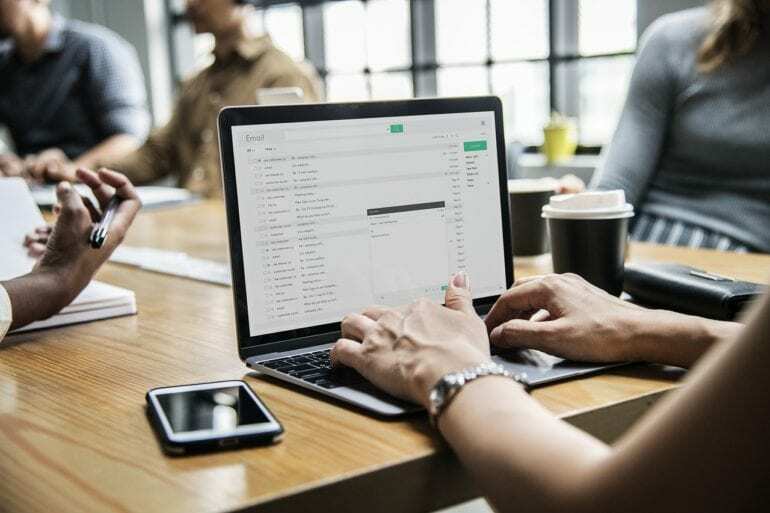 There will also be a growth of 5% in emails sent or received worldwide approximate of 225.3 billion mail daily, 3% in Business Emails sent or received and growth of 6% in consumer email sent or received. The Stats below will give you a detailed outlook on Email Accounts and Users worldwide. This means a consumer will receive at least 105 emails daily. So how do you make sure that your email is not pushed to SPAM but opened? Here are the best practices you can follow to make sure your email isn’t ignored or deleted. Time is money and, like money, we can’t waste time when running a business. Spending more than half day in sending mails after mails is wastage of time and money both. When you are creating your email marketing recipients list, take enough time to choose the right ones. Let’s say you want to promote GET exam books, so you must choose only those recipients that have enquired about in the past or have put of these books in their list. Sending to all will only waste your time and money. It’s good to be short & simple. Be straight in the message you want to send across. Add symbols, discounts, or coupons you wish to offer. Don’t use a lot of emojis in the subject line, it’s very irritating. Subject lines are doorways to increase sales. You can go to your email and check the promotional emails that have come and caught your eye; you need have such catchy subject line. If you have a Gmail account, it is easier to find them from the promotions tab. 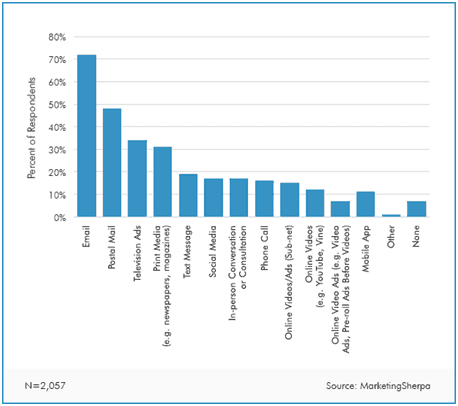 The image above shows the average open rate of emails with various types of subject lines that are a great way to attract more customers to open the email. Cart Abandonment Emails can be automated. All those customers who don’t complete the checkout process and exit the page on your ecommerce portal, an email can be sent immediately giving them a chance to complete their purchase. This will also help you to improve your process and make things smoother for your portal. You may have a fashion, grocery, electronics ecommerce portal. While you fetch data for cart abandonment emails, you will need to set rules in the system to get data of only those customers who visited the checkout page but did not complete the transaction. After that, you can send the automated emails to those customers only. There is no rule as to how many times you must send email to your subscribers. Too many emails will only bother and annoy them. At the end, they will only unsubscribe to your emails. Hence, you need to keep in mind the timing and the Frequency of the email to be sent. Time: You need to be sure at what time your emails must be sent so that the open rates are high. Let us see the image below that is the result based on the Experian Study. 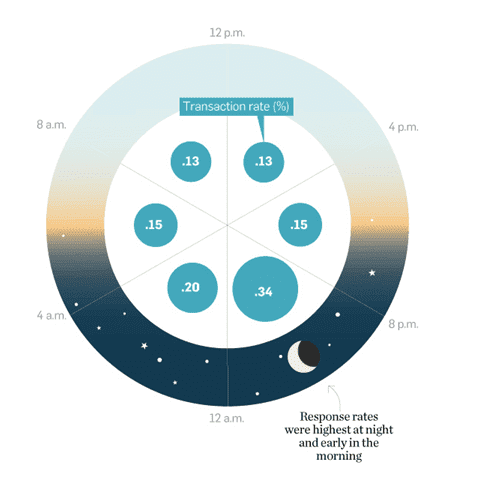 According to the Experian email marketing study, across all industries people are more active late at night and early in the mornings. Open rates were 21.7% from 08:00 pm to 11:59pm whereas it was 17.6% between 12:00am to 03:59 am.You can refer to the chart below for more details. Frequency: You need to keep a check on the frequency of sending emails. If I get too many emails from a particular company, I will straight away unsubscribe them or put them in the spam list. The image below shows the open rate of emails sent at different frequencies and the conversion rate of the frequency. This has to be considered every time you send an email to the customer. While sending mails you also need to keep the frequency in mind. We do not want to fill our subscriber’smailbox with emails;instead, we want them to wait for our emails, which they will receive only once or twice a month. In the past, emails were all about text and no images. But today, if your email does not have an attractive image & design, the open rates will reduce to a great extent. No one has the time to read a long e-mail;they would rather see the image and learn about the offer. 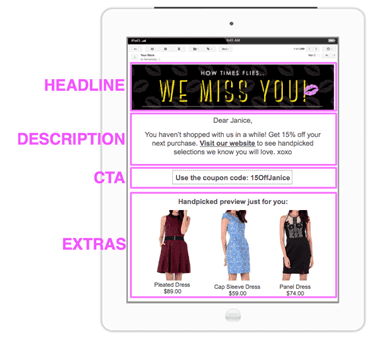 You can add personalization too these emails and make them worth the customer’s time. The image below tells why an e-mailer with images is more attractive. The Headline, Description, CTA, and Additional Products listed make the e-mailer worth reading. It has added personalization in the Heading By saying “We Miss You” which automatically brings the attention of the customer. And then further in the description they have added the customer’s name “Dear Janice”, which will bring the customer to think about the offer especially for her. Above that the CTA (Call to Action) is a coupon code that has the name of the customer making it more personalized. Therefore, this will definitely make the customer click the CTA and purchase a product because it is especially for her (Janice). That is why personalization with design has a greater impact on the customer. Even if I get an email like this, I would surely complete the purchase and utilize the coupon code especially for me. 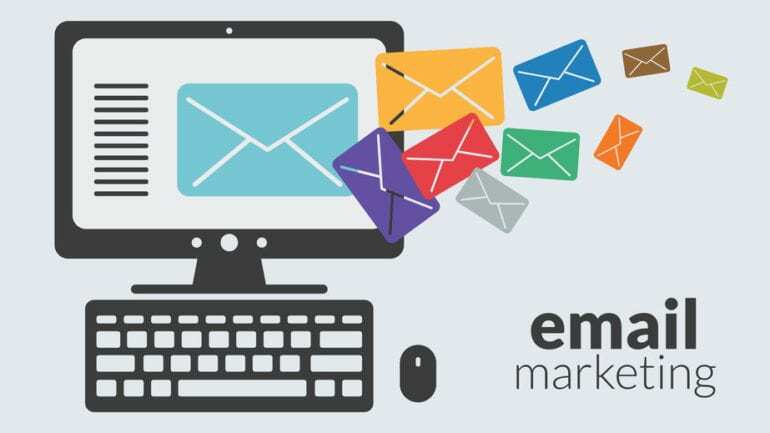 Email Marketing is one of the biggest marketing campaigns that all e-commerce firm run. They send their offers and messages through these e-mailers. When you decide to run an email campaign you need to keep in mind the Email Recipients, Subject Lines, Cart Abandoned Customers, Timing & Frequency, Segmentation, and Visuals& Designs. You need to keep a close check on these to get maximum clicks and open rates. 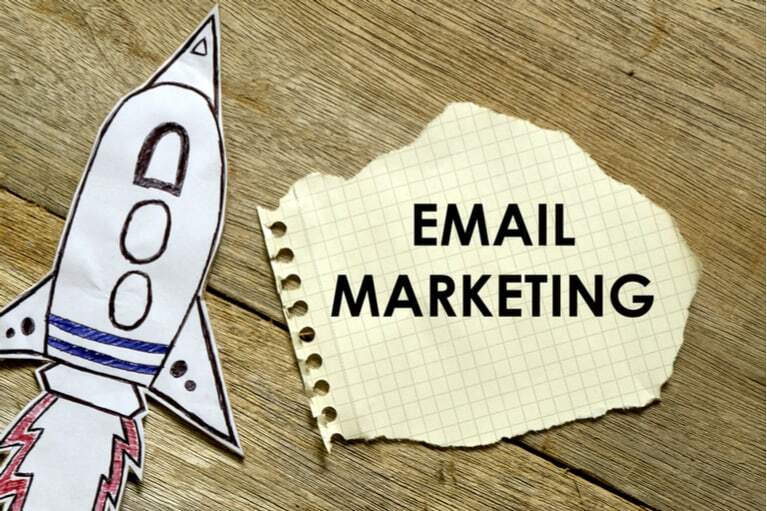 Email Marketing is all about what you send, to whom, and when. 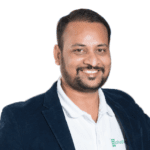 Abhishek Agarwal is the Co-founder & CEO of MobiCommerce, Design‘N’Buy and OhoShop. MobiCommerce is an eCommerce web and mobile app development company. It is specialized in building eCommerce websites, Magento and PrestaShop Mobile Applications. With an entrepreneurial experience of 14 years, he is a visionary who proactively look out for the next big thing. Being in the industry for more than a decade, he is well versed with trends in the market and love to write about them.